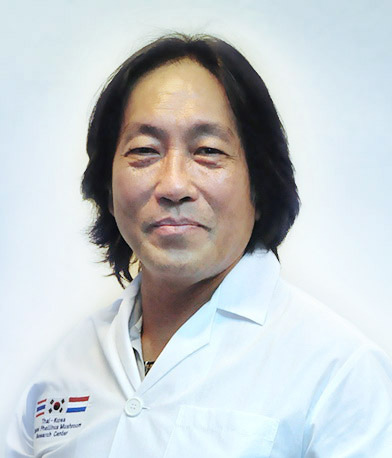 Dr. Jean-Paul Ly received his B.V.Sc and Diploma of Clinical Nutrition from Sydney University, Australia and is the founder and current Director of the Animal Recovery Centre Group in Singapore. Dr. Ly’s special interest included Holistic Medicine, Acupuncture, Micro and General Surgery, Dermatology and Ophthalmology. Since 2008 Dr. Ly has been conducting clinical trials on chronic degenerative diseases using immuno-modulators found in Phellinus fruiting body. The results have been extremely encouraging and he has been successful in extending life and improving the quality of life for animals at his Animal Recovery Centre. Dr. Ly has been very successful in other areas such as auto-immune disease in particular, and also non-specific severe illnesses where owners often come to Animal Recovery Veterinary Centre as a last resort. After obtaining his B.V.Sc and Diploma from Sydney University in 1974, Dr. Ly served as a full time veterinary sciences lecturer in Sydney whilst managing two veterinary hospitals and also pursued an additional diploma in education from Sydney’s Teacher College. In 1983 Dr. Ly returned to Singapore where over the next decade he started several practices including Singapore’s largest veterinary practice at the time. He also gained extensive experience in the nutraceuticals industry and in 1996 established the Nutraceutical Division at Pacific Nutraceuticals, Singapore, and Age D’or Chemicals Pte Ltd, Singapore. Between active practice as a veterinary surgeon and pursuing tertiary qualifications, Dr Ly has acted as Consultant for various local organizations, charities, and multi-national companies, such as Singapore Zoological Gardens, Singapore Crocodile Paradise, Tang Dynasty City, SPCA, Bright Hill Buddhist Temple, Aljeans Seafood, Age D’or Pharmaceuticals and the Iams Company, USA. His portfolio also includes extensive lecture tours in Australia, Singapore, Malaysia and Indonesia. Amongst his audience have been veterinarians, medical practitioners, religious and youth groups, students, teachers, senior school administrators and personnel and Rotarians. His seminar topics range from animal husbandry such as the design and fabrication of refrigerated life-support systems for aquatic animals; veterinary surgical technology involving microsurgery techniques; to relationship management including parenting and marriage counseling; human resource training and management skills; motivational talks; communication, work ethics and management efficiencies. In 1999 he began another veterinary practice, Animal Recovery Centre (ARC), in Singapore. In 2005, as part of the ARC group, he opened Animal Recovery Veterinary Centre (ARVC), a referral practice for the local and Asia Pacific region. With a team of 6 vets and two other branch clinics, ARVC is currently the most advanced veterinary practice in Asia using Computer Radiography, Ultrasound and Magnetic Resonance Imaging. In the last few years, Dr Ly has been able to add designing the largest indoor boarding kennel in Kuala Lumpur at the Ikea Power centre (1994), a Referral Specialist Hospital in Shanghai (2006), and the most modern Avian Hospital in this part of the world for the Jurong Bird Park (2006) to his accomplishments. His vision for veterinary practice in Asia is to raise international awareness of Asian veterinarians, elevate Asian industry standards to recognize international standards, and to propel the Asian veterinary industry to the front of global standards.